Fresh August 7th, looks like an EASY VG and is READY TO WORK! 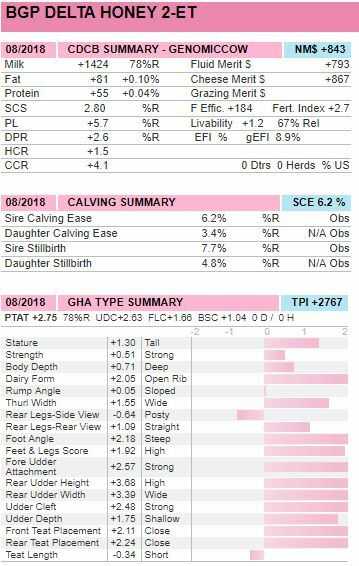 Don't miss out on this exciting +2767G +2.75 PTA Type Delta daughter of View-Home Uno Hope EX-92, next dam is Robst 4846 the dam of MONTEREY and POWERBALL-P! Ready to WORK and she knows how to make them HIGH!